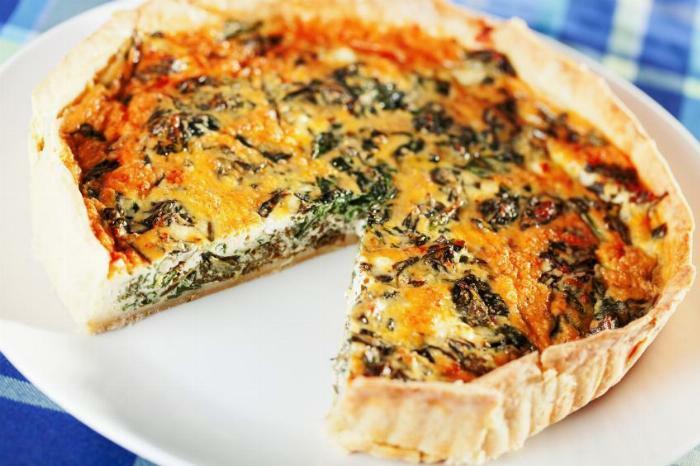 Quiches can sound intimidating, but I created this recipe on my own (I’m not the best cook). This is a forgiving recipe that always turns out great. Remove or add ingredients that you like. 2In a medium skillet, melt butter over medium heat. Saute garlic and onion in butter until lightly browned, about 7 minutes. 3Add spinach, mushrooms, feta and cheddar cheese, and salt & pepper to the skillet. Mix well with the butter, garlic and onion, and remove from heat. 4In a medium bowl, whisk together eggs and milk. Add the contents of the skillet to the milk and eggs and mix everything together to thoroughly combine all ingredients. 5Pour the contents of the bowl into the pie crust. 6Bake in preheated oven for 50 minutes. After baking, let it cool for 10 minutes before serving.